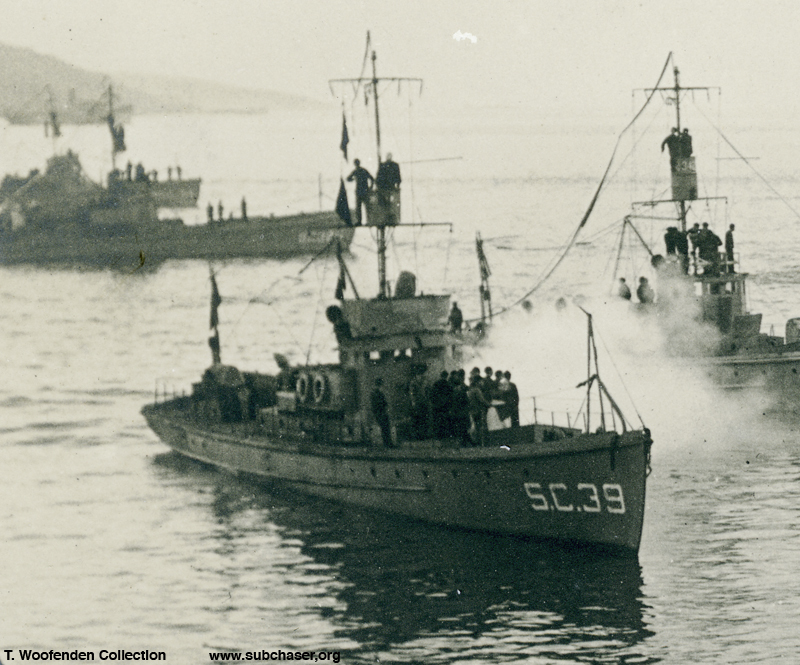 Submarine chaser SC 39 was commissioned on 1 March 1918 at New York, and served at Base 27, Plymouth, England. Photograph of submarine chaser SC 39. T. Woofenden Collection.